Attend Our Get Published Seminar! Get insight. Get writing advice. Get Published. 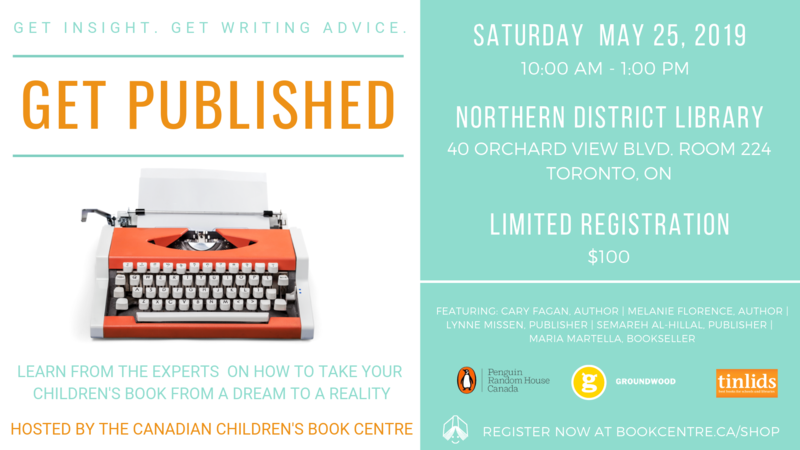 Attend our seminar on May 25th in Toronto to learn from the experts on how to take your children’s book from dream to reality. Our panel of industry professionals includes award-winning authors Melanie Florence and Cary Fagan, as well as bookseller Maria Martella (Tinlids) and publishers Lynne Missen (Publishing Director, Fiction, at Penguin Random House Canada Young Readers) and Semareh Al-Hillal (Publisher, Groundwood Books). Book Week 2019 is just around the corner! TD Canadian Children’s Book Week is a little over a month away and we couldn’t be more excited! 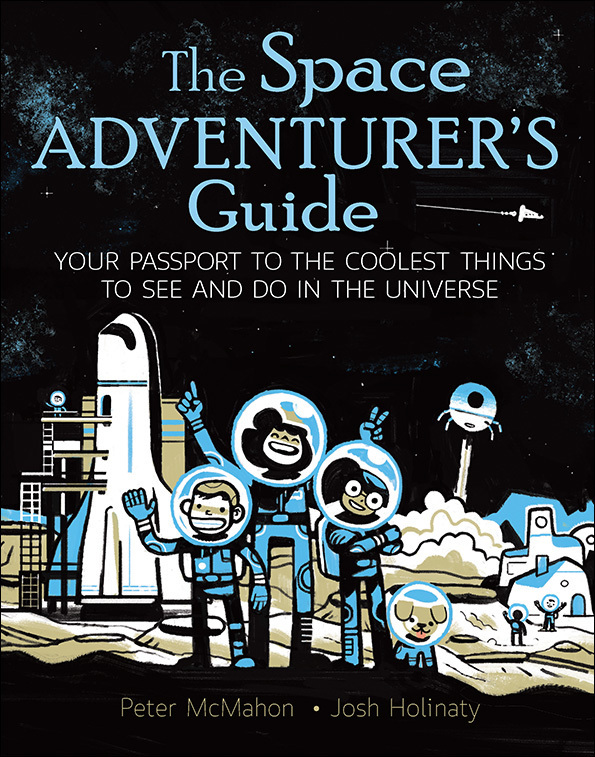 This year’s tour includes 28 authors, illustrators and storytellers who will travel across Canada and read to children in libraries, classrooms and community centres. 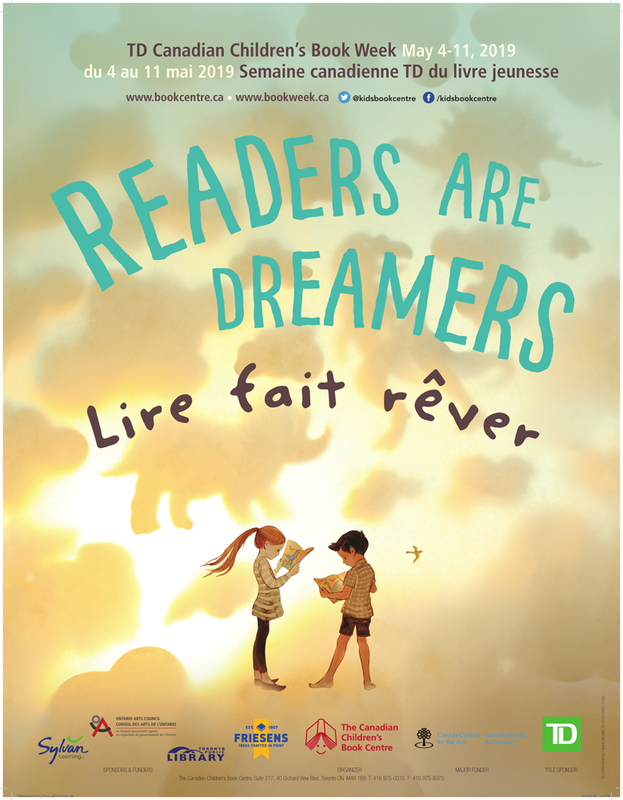 This year’s theme is Readers Are Dreamers and the amazing poster was created by illustrator Elly MacKay. We’re in love with the way Elly perfectly captured the dreamlike world of reading through her paper art. The poster will be available for sale soon at bookcentre.ca/shop! 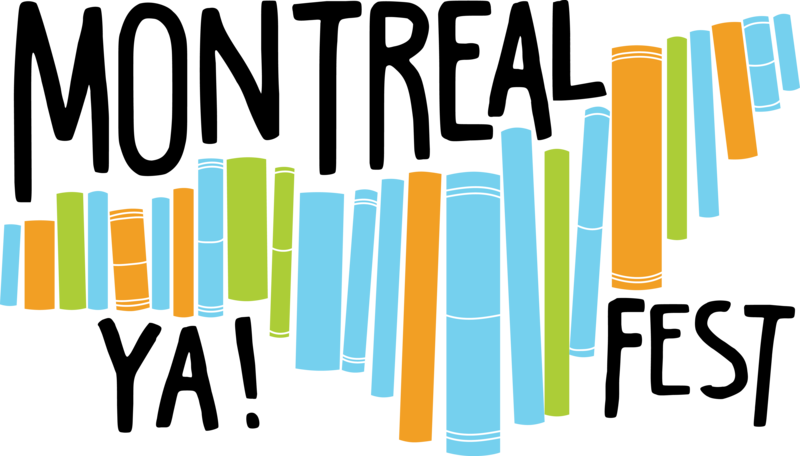 Stay up to date with Book Week 2019 by checking bookweek.ca! The IODE Ontario Jean Throop Book Award Selection Committee announced the 2019 short list for the IODE Ontario Jean Throop Book Award (books published in 2018 by an author/illustrator living in Ontario). 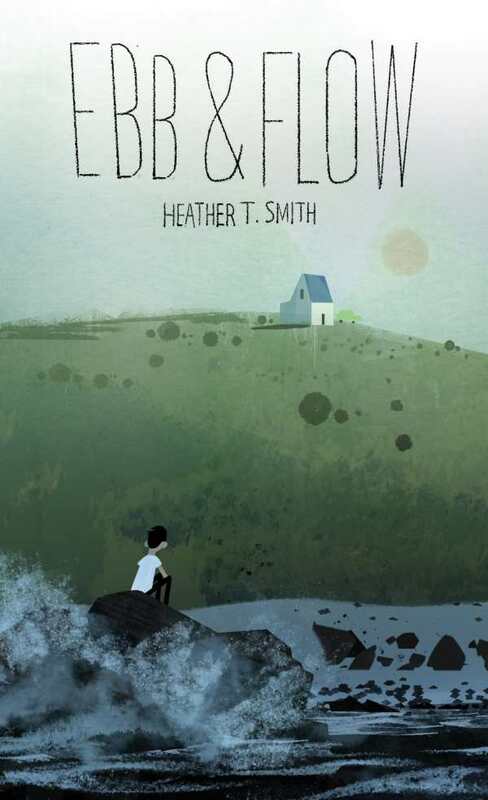 ArtsNL has announced the winner for the 2018 BMO Winterset Award: Ebb & Flow by Heather Smith. The award celebrates excellence in Newfoundland and Labrador writing. 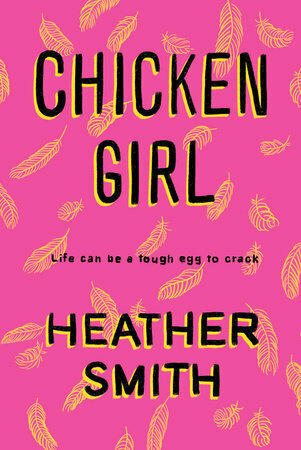 Heather will receive a prize of $12,500 and the two finalists will each receive $3,000. 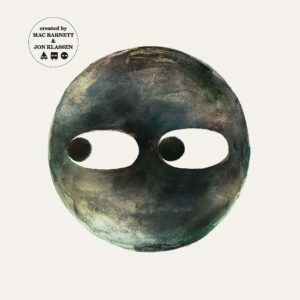 The shortlist for the prestigious CILIP Kate Greenaway Medal, one of the UK’s oldest book awards for children, was announced today. 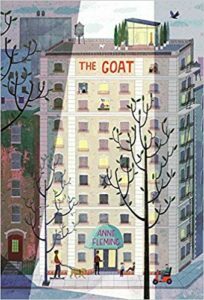 Selected by volunteer Youth Librarians from a longlist of 20 books, these titles reflect the very best in children’s writing and illustration published in the UK. 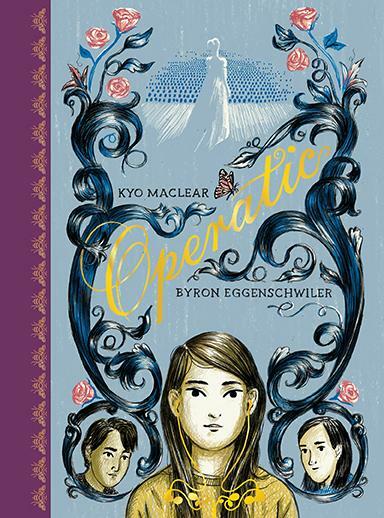 Two Canadian illustrators are among the finalists for this prestigious award. 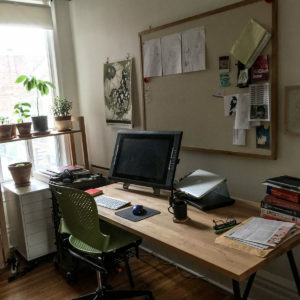 Young Adulting, an online magazine that celebrates, engages with, and reviews contemporary literature for young adults (YA), middle-grade (MG) and new adults (NA), has recently launched. Based out of the Creative Writing Program at the University of British Columbia (UBC), Young Adulting is a forum for critical engagement with contemporary anglophone books for young readers. 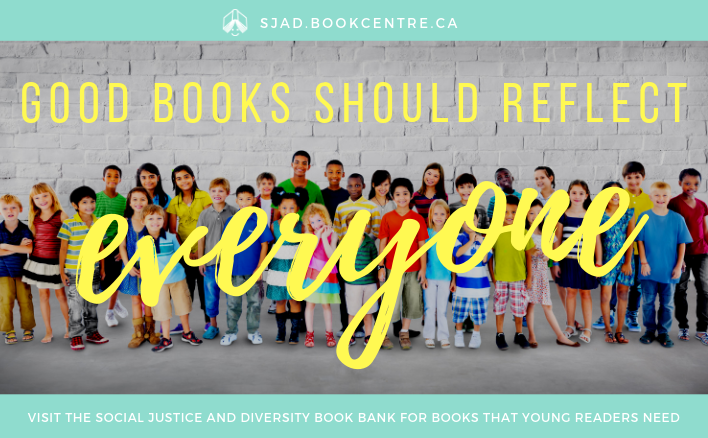 Visit the CCBC’s Social Justice and Diversity Book Bank- NEW BOOKS ADDED! 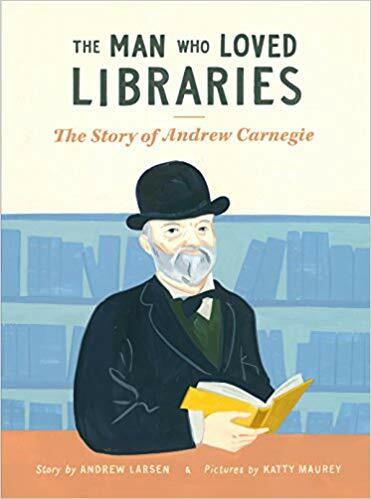 Join Toronto children’s writer Andrew Larsen, author of The Man Who Loved Libraries: the Story of Andrew Carnegie, for the 16th Albert Lahmer Memorial Lecture at the Osborne Collection of Early Children’s Books. Andrew will talk about how Carnegie’s legacy of libraries has enriched our city’s life. 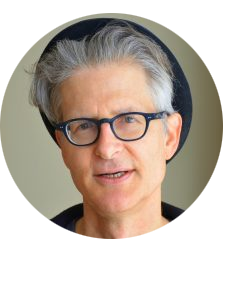 He will also talk about his own relationship with Toronto’s libraries and the way in which it has shaped his writing. The event will take place at the Lillian H. Smith Library in Toronto on April 25th from 7 to 8 pm. The event is free and all are welcome to attend. Learn more here. 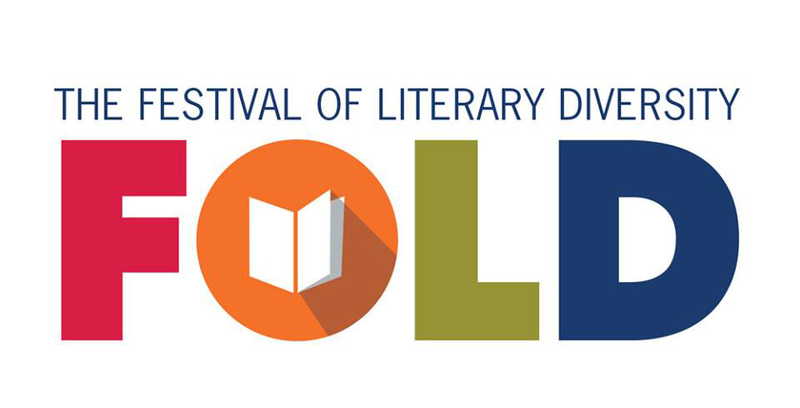 The 2019 The Festival of Literary Diversity is May 2-5. Taking place in Brampton, this year’s festival includes authors S.K. Ali, Tanaz Bhathena, Vivek Shraya, Ben Philippe and more! Sharpen those quills! The Shakespeare Selfie Student Writing Challenge is coming back in April 2019. The submission period is from April 9 to 30, 2019. 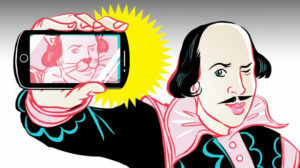 Shakespeare Selfie is a writing competition that challenges students to write a soliloquy or monologue in the voice of a Shakespearean character based on a prominent news, pop culture or current affairs event from the last year (April 2018 to April 2019). Award-winning YA author Kenneth Oppel, whose books include Inkling, The Nest, Every Hidden Thing and the Silverwing trilogy, will be returning as judge. 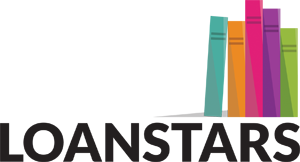 Loan Stars is the readers’ advisory service that allows library staff across Canada to collaboratively select their favourite forthcoming titles. Using CataList, the online catalogue tool available free to libraries, library staff can endorse the fiction, non-fiction, juvenile, and young adult titles they want to recommend to their patrons. The titles with the most votes become Loan Stars picks! Junior Loan Stars launched in March and we couldn’t be more excited. 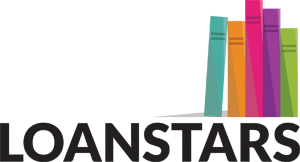 CANSCAIP (Canadian Society of Children’s Authors, Illustrators and Performers) welcomes entries by unpublished writers for the 22nd annual Writing for Children Competition. The deadline for entries is May 31, 2019. 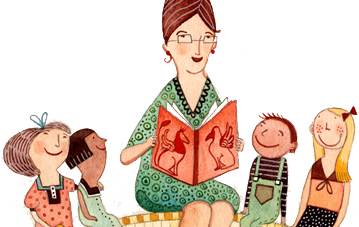 Five writers will receive $500 for the winning entry of a Picture Book, Early Reader, Chapter Book, Middle Grade, or Young Adult. Two finalists for each of these categories will also be selected. Find out more here! 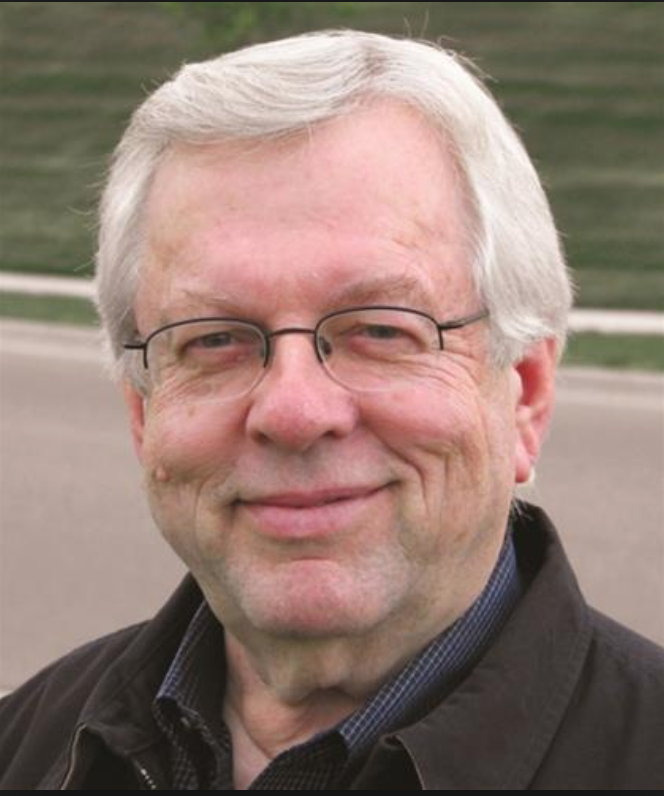 For over 40 years, Professor Emeritus David Booth, was involved in education as a classroom teacher, arts consultant, professor, researcher, speaker and author. 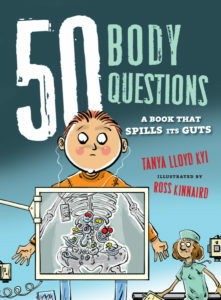 He has authored many teacher reference books and textbooks in several areas of curriculum development: the arts, drama and theatre, early literacy, reading, writing, speaking and listening, and media and recently penned a yummy poetry collection for children called Head to Toe Spaghetti: Poems That Tickle Your Lips and Tangle Your Tongue! Sadly, David passed away on December 22, 2018. As a tribute to his incredible legacy, the Ontario Literacy Association of Niagara will be hosting an after school event for educators, friends and colleagues of David Booth at the Trius Winery in the beautiful Niagara region. The event will be an opportunity for fellow educators to consider some of David’s great literacy suggestions and lessons learned .A friend of David’s and fellow professor, Larry Swartz, will share some of the ways we were influenced by David and how he contributed to students developing their love of reading. MTL YA FEST! is the first young adult book festival in Montreal. 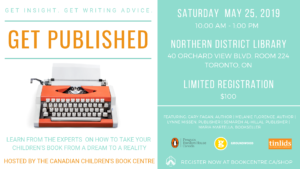 The event’s goal is to connect teens with their favourite authors in a fun environment. This includes panel talks, discussions, games and more! 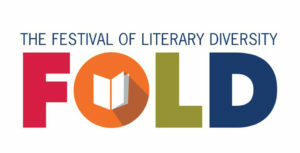 This year’s festival takes place at the Jewish Public Library in Montreal on May 26, 2019. Check out the full lineup here. 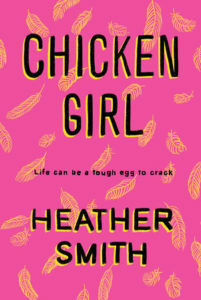 Our reading list this month is all about laughing out loud! 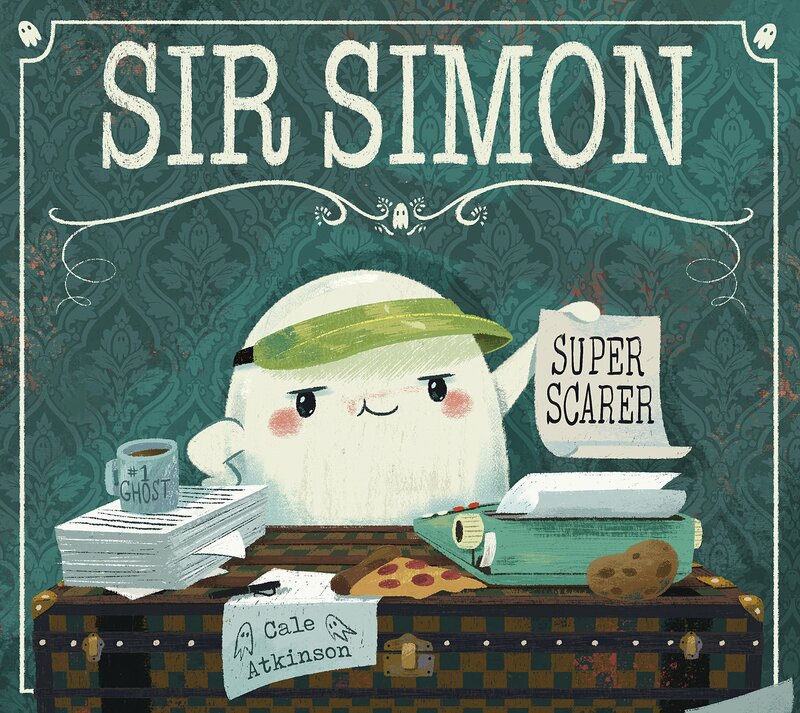 Here are humorous books to be read in the classroom, in libaries or at home. This book is about Circle. This book is also about Circle’s friends, Triangle and Square. Also it is about a rule that Circle makes, and how she has to rescue Triangle when he breaks that rule. With their usual pitch-perfect pacing and subtle, sharp wit, Mac Barnett and Jon Klassen come full circle in the third and final chapter of their clever shapes trilogy. ENTER TO WIN ON INSTAGRAM, TWITTER & FACEBOOK! Mélanie Watt starts out with the story of a mouse in a house. 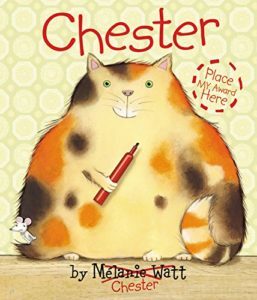 Then Mélanie’s cat, Chester, sends the mouse packing and proceeds to cover the pages with rewrites from his red marker, and the gloves are off. Mélanie and her mouse won’t take Chester’s antics lying down. And Chester is obviously a creative powerhouse with confidence to spare. Where will this war of the picture-book makers lead? Is it a one-way ticket to Chesterville, or will Mélanie get her mouse production off the ground? All hail King Baby! He greets his adoring public with giggles and wiggles and coos, posing for photos and allowing hugs and kisses. 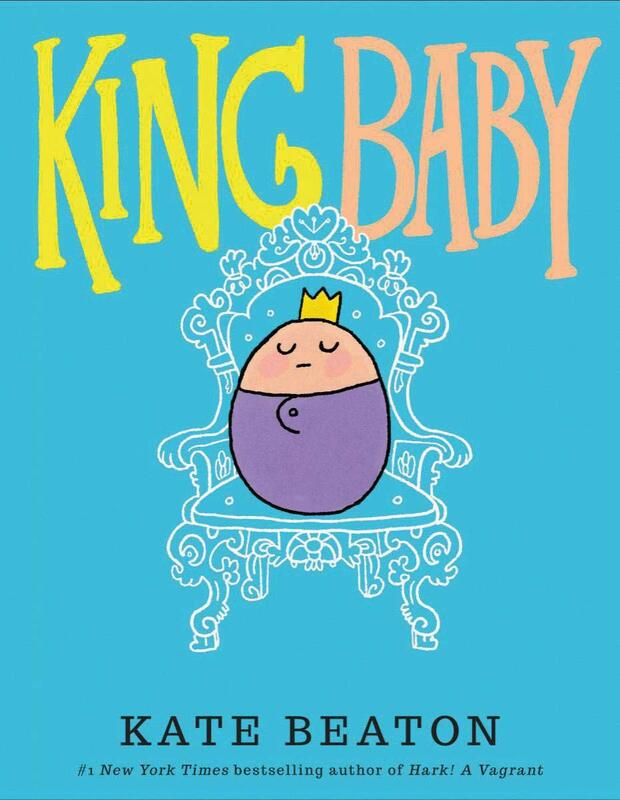 But this royal ruler also has many demands, and when his subjects can’t quite keep up, King Baby takes matters into his own tiny hands. 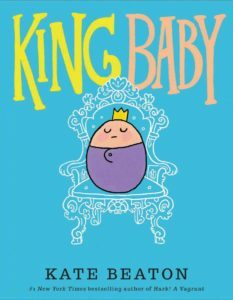 A modern, funny, and (let’s be honest) realistic take on life with a new baby, and the perfect gift for anyone with an adorable little ruler in their life. Clara Humble is back for a third and final adventure. 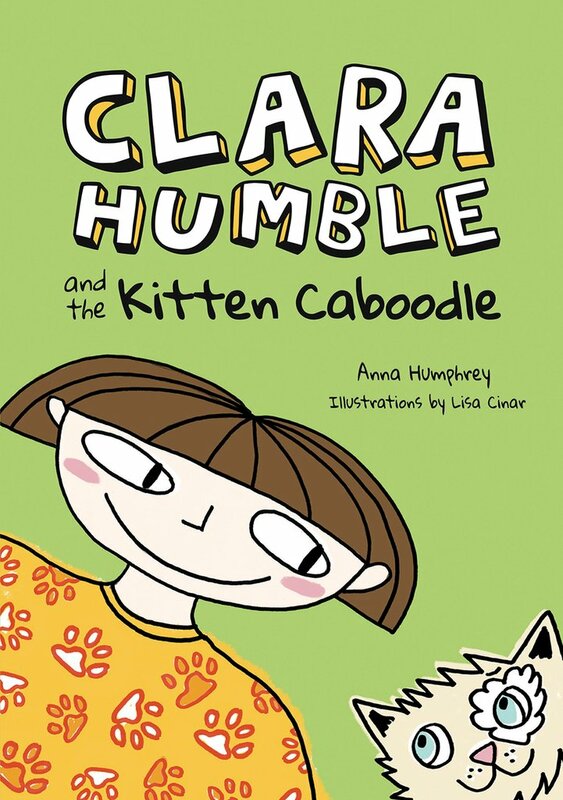 When Clara and her best friend, Bradley, go treasure hunting in an abandoned lot, they stumble upon something even better — a cat about to have kittens! To Clara, their mission is clear: make the best shelter ever and secretly care for the feline family until they can convince their parents to adopt the cats. Clara hatches a brilliant plan to raise kibble cash by producing the cutest Internet cat video ever. But when condo developers start to bulldoze the lot, Clara and Bradley have to work together to save the kittens. Can Clara pull it off? Or will it turn into one big cat-astrophe? Twelve-year-old Kid and her parents are dog sitting in New York City. Rumour has it that there is a goat living on the roof of their Manhattan apartment building, whose residents are both strange and fascinating. When Kid meets Will, whose parents died in 9/11, she learns that seeing the goat will bring good luck… a quest to find the goat is on! Megabat was looking forward to Christmas morning: presents, playing toys, smooshfruit and watching Star Wars. But then Daniel opened his last, most special present. Daniel thinks this might be the best Christmas present yet: a beautiful cat named Priscilla! He’s always wanted a pet. Megabat is not sure he likes this cat. She tastes most hairy. Daniel loves his new cat! She’s fun to play with, and she’s so soft and fluffy. Megabat is not soft OR fluffy. He’s not purebred and he doesn’t have a big, beautiful swishy tail. 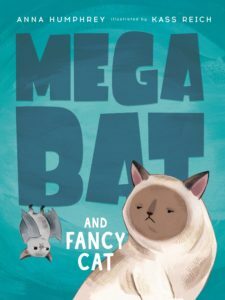 What if Daniel loves Priscilla more than Megabat? If you could have any superpower, what would you choose? How about the ability to move things with your mind? But what if concentration and coordination weren’t your strongest skills?Thirteen-year-old Gary Lundborg often knows all the right moves, but in the middle of an epic growth spurt, his execution is more disastrous than dazzling these days. Can he master his new powers and become the basketball star he wants to be? Well, first he must save the world! 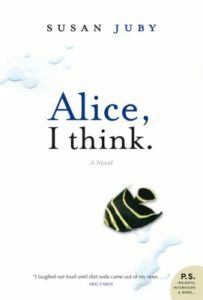 After her first therapist has a meltdown, Alice MacLeod and her new therapist decide that Alice’s horizons should be expanded. Enter Alice’s Life Goals List. It’s time to grow up, act her age, maybe even go back to high school after years of being taught at home. Alice is on the hunt for a look, a social life, a job, a boyfriend, and most importantly, a half decent haircut. But getting those things in Smithers, BC, isn’t easy. Particularly if Irma of Irma’s Salon is in charge of the new look. Shiels has a perfectly controlled life (controlling others while she’s at it). She’s smart, powerful and she even has a loving boyfriend. What more could a girl ask for? But everything changes when the first-ever interspecies transfer student, a pterodactyl named Pyke, enrolls at her school. 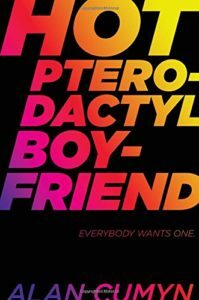 There’s something about him — something primal — that causes the students to go a bit bonkers. So who’s in control now? 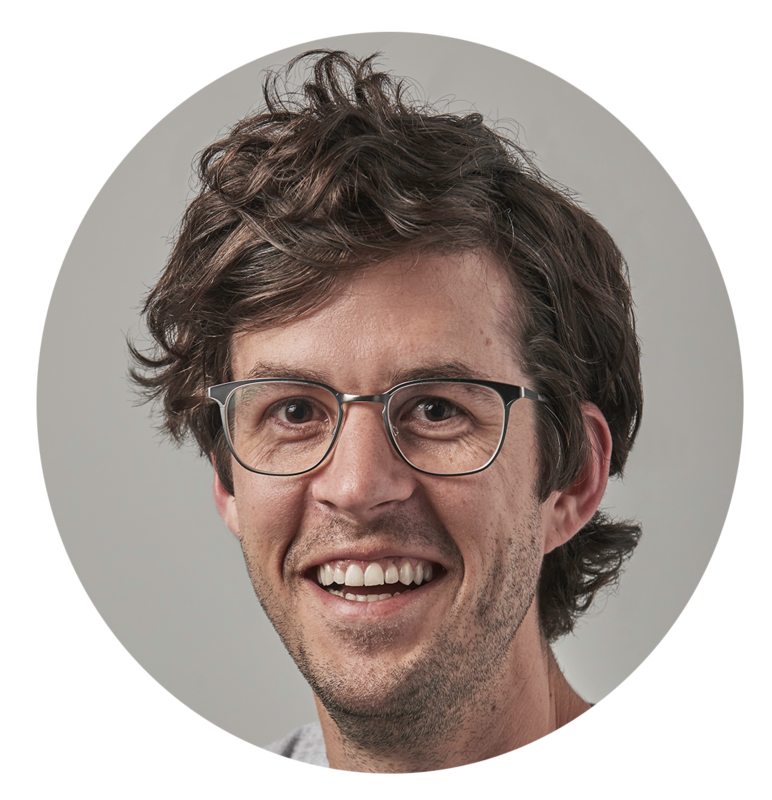 Cam Redden works for his dad’s company: The Almost Family Surrogate Agency, which rents out fake family members. Cam’s job is to be whoever clients want him to be. 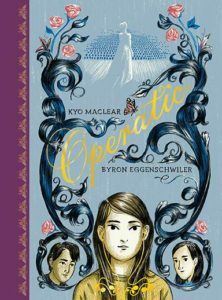 Then he meets Albertina, an old lady on a mission, and Raylene, a beautiful girl with a painful secret. 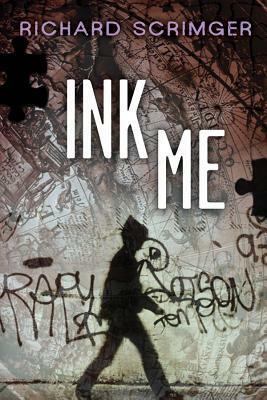 To figure out the mysteries that drive them, Cam may finally have to be himself. 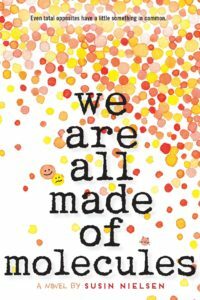 Thirteen-year-old Stewart is academically brilliant but socially “ungifted.” Fourteen-year-old Ashley is the “It” girl of Grade 9, but her marks stink. 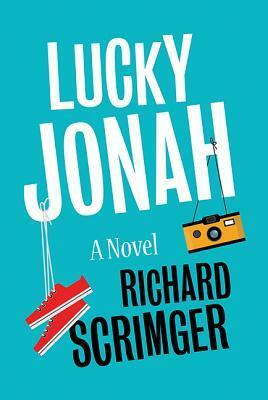 When Stewart and his dad move in with Ashley and her mom, their worlds collide. They are complete opposites. And yet, no matter their differences, they share one thing in common: they — like the rest of us — are all made of molecules. Unbelievable facts about an amazing specimen — YOU! Most of us eat, run or sleep without thinking about it. But our bodies are masterful machines of intricate design that perform amazing feats daily. 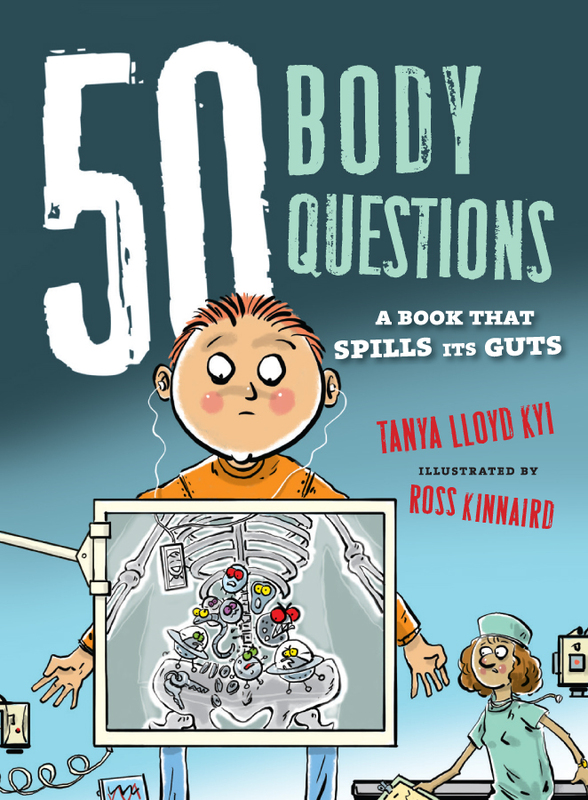 The fifth book in Annick’s successful 50 Questions series guides readers through the details of how our bodies function, from the miracles of genetics, to immune cells shaped like sea monsters. 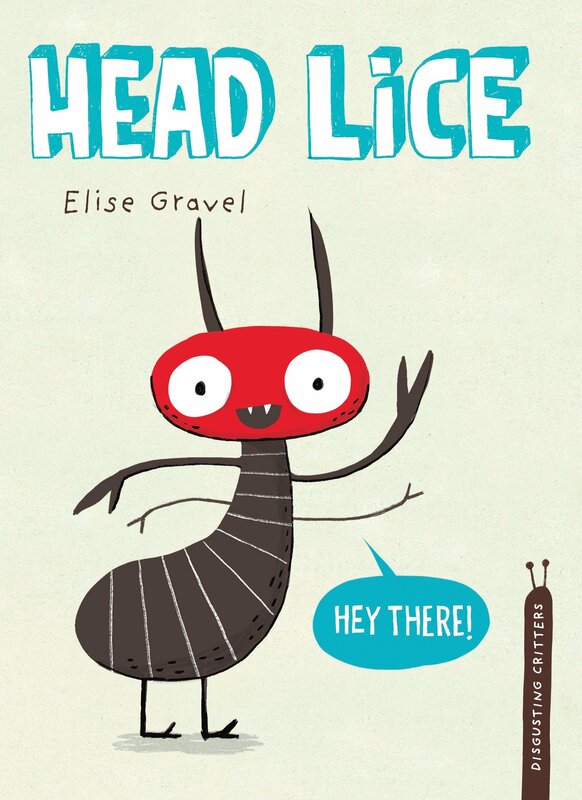 Head lice — they are very tiny and they are disgusting! 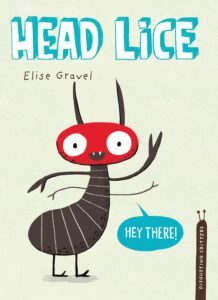 This amusing and informative text investigates everything about head lice, including habitats (human heads only, dogs are gross); anatomy (their bodies are slightly see-through, so they can always see what they ate for lunch) and how they move (swinging from hair to hair like mini-Tarzans)! Factual and fun, this title is also available in French as Le pou. Richard Scrimger is the award-winning author of nine novels for young readers, three picture books and three books for adults. His works have been translated into eight languages, and have been critically acclaimed around the world. Columns detailing Richard’s adventures in parenthood have been published in The Globe and Mail, Chatelaine and Today’s Parent. His first children’s novel, The Nose from Jupiter, won the 10th Annual Mr. Christie’s Book Award. 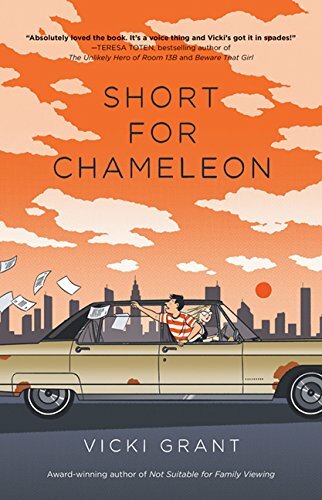 His most recent young adult novel, From Charlie’s Point of View, was a CLA Honour Book, and was chosen as one of the “Best of the Best” by the Chicago Public Library. His latest adult novel, Mystical Rose, was a Globe & Mail book of the year. He has four teenaged children, a collection of speeding tickets, and, usually, a puzzled expression. 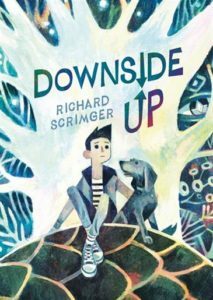 Richard Scrimger lives in Cobourg, Ontario. I didn’t start out as a kids’ author. In the mid 90s I wrote a series of Back Page stories for the Globe & Mail about the shenanigans I got up to with my four youngsters. (I was an at-home dad, my wife making approximately 100 times more money than I did.) 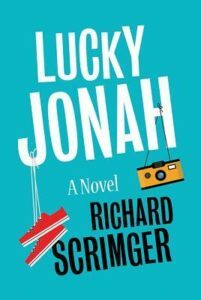 An editor at HarperCollins phoned OUT OF THE BLUE – THIS NEVER HAPPENS – to ask if I wanted to make these stories into a book. The head of Tundra read it and called OUT OF THE BLUE to ask if I would try a story from the kid’s point of view rather than the dad’s. 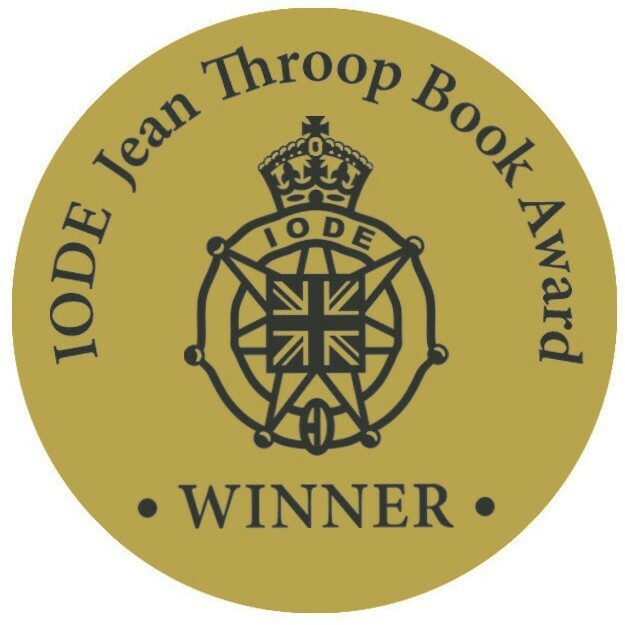 The Nose From Jupiter sold a bunch of copies and won a biggish award. Well, I can take a hint if it’s obvious enough. My adult fiction was selling in the dozens, my screenplays were going nowhere. So my next 20 books have been for kids. 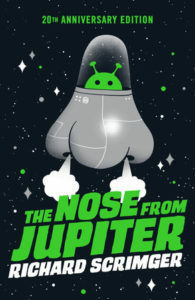 We can’t believe that 2018 marked the 20th anniversary of A Nose from Jupiter! What have you learned in the last two decades as a writer for young people? Some of the best bits I have learnt came from kids I have talked to. Like, falling is funny (kindergarteners laugh every time you fall down. Every single time. I know this.) Like, we want bad things to happen. (When a cute little girl in a story gets run over by a car, audiences applaud. When she gets run over by a bus, they clap harder. And when the steamroller appears, they go crazy….). Like, caring about something is good. The best stories are the ones you care about. If you don’t care, no one else will. 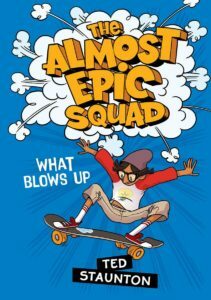 We are super excited for your upcoming book in the Almost Epic series! This isn’t your first time working on a collaborative series, after having worked on The Seven Series and The Seven Prequels. What do you enjoy about working collaboratively on a series versus independently? Collaboration is great with the right collaborators. I’ve been lucky with both the ‘7’ series and Viminy Crowe’s Comic Book, which I wrote with Marthe Jocelyn. Reading their stuff, you smile and gasp and nod your head. If — I shouldn’t say ‘if’ — when — you’re stuck, you can go to your fellows and ask for help. The Almost Epic Squad are all fun to work with, and, more important, writers I trust. But don’t let anyone fool you. Writing is still a lonely business. Most of the time it’s you and the screen. Oh! I must include a shout out to the editors. You can’t do collaboration unless there is someone working with all of you. Again, I’ve been lucky. Anne Shone at Scholastic is amazing! And so were Tara Walker and Sarah Harvey. Thank you all! 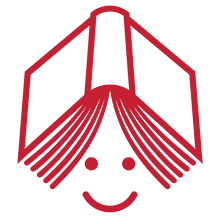 This month’s newsletter is a special April Fools edition, focusing on the joys of humour. 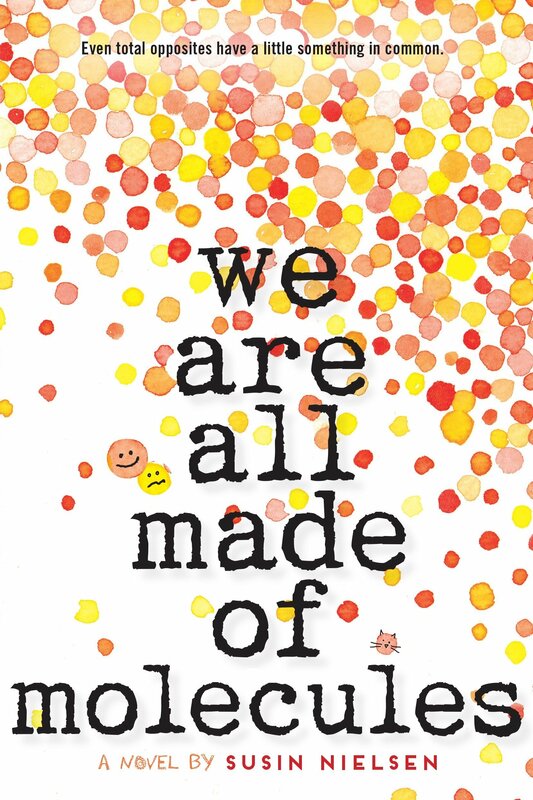 How important is humour for young readers? How important is humour? To me it’s essential. Life is a tragedy (I mean, no one gets out of here alive) and humour is the filter I use to stay sane. Laughing at bullies is a useful alternative to kicking them. It’s also easier to get from laughter to understanding. I am writing (seriously, Tundra. The new draft will arrive any day now!) 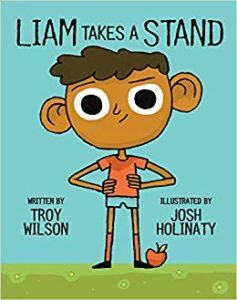 a book about writing called Your Story Matters. Yes It Does. 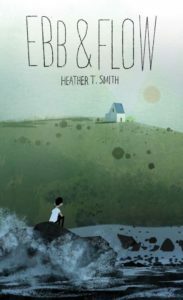 It’s a hands-on approach to writing a story for mid-school and YA. Interestingly, my opinions have changed over the years. Fiction is a combination of truth and lies. I used to talk about how important the lying was. Now I am in the other camp. This book stresses the importance of truth. Go figure. Josh Holinaty is an illustrator whose works have been found in books, magazines, mobile apps, and even on coffee cups. Some previous books he’s illustrated include Ira Crumb Makes a Pretty Good Friend, The Space Adventurer’s Guide, the Norma Fleck Award finalist A Beginner’s Guide to Immortality, and Innovation Nation. Josh lives in Toronto with his wife Genevieve and their dog, Jack. Like many illustrators and artists, I’ve been drawing ever since I was a kid. I’d mostly draw characters and monsters from my favourite Saturday morning cartoons, such as Astro Boy, Teenage Mutant Ninja Turtles, and Tin Tin. I’d also find inspiration from my favourite video games too, like the Legend of Zelda and the Super Mario series. 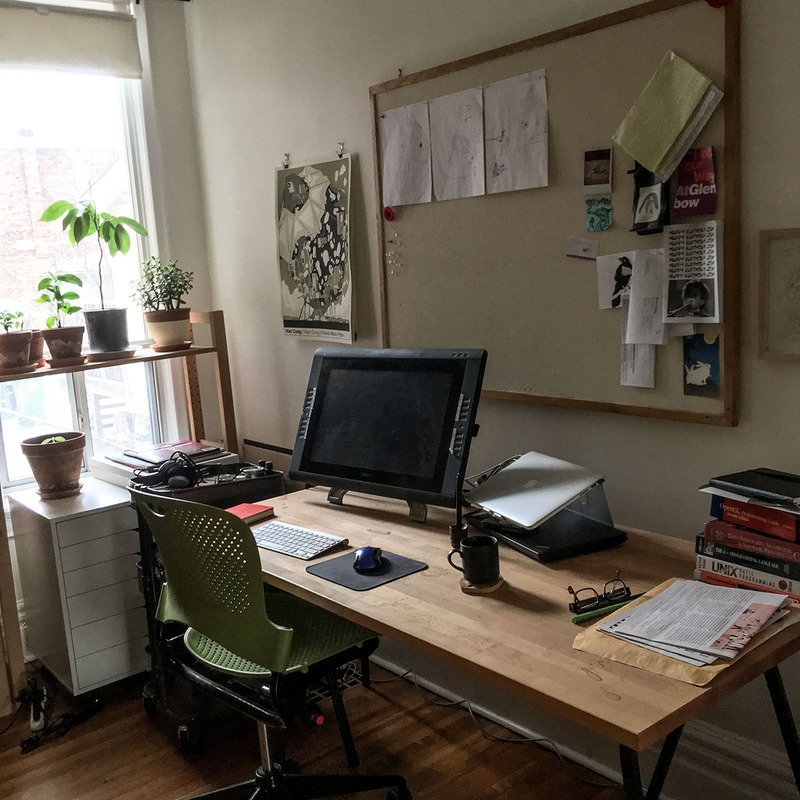 Aft er high school I attended the Alberta College of Art where I received a BFA in Drawing, and ever since graduating from college in 2007 I’ve somehow managed to (mostly) work as an illustrator. There have been ups and downs and part-time jobs along the way, but as of right now I’ve been a full-time freelance illustrator for about five years. Lately my general schedule / routine looks something like: wake up, drink coffee, surf the web and catch up on e-mails, draw things, walk the dog, draw more things, and repeat. In the evenings I’m usually working on personal projects, such as other drawings or programming interactive apps (see KissTheDog and ChigginBlazzder). Tell us about your art style, how it came about and what artists have influenced you. My style is always evolving. In the early days I wanted to create things with lots of detail that looked almost grungy and slim y, similar to the underground comic artists such as Robert Crumb, and Gary Panter. Nowadays, I think my work is a bit more formulaic and clean, perhaps finding inspiration in artists such as Chris Ware and Hergé. Generally, I tend to get bored easily and would hate to have to draw the same way all the time, so who knows what “style” my images will have in a few years! This is our special April Fools newsletter! 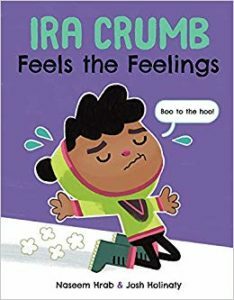 You’re the illustrator of the very funny Ira Crumb books, by Naseem Hrab. 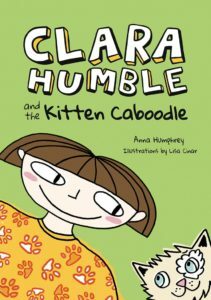 How important do you think humour is in books for children? Very important! Humour is a powerful tool in storytelling, coming in especially handy if you need to get more serious message across as it can really help to ease the tension. Of course, that doesn’t mean that all books need to be humorous — everything has a time and place! Ira Crumb is a particular character that sort of just requires humour because of how he is… and because his creator, Naseem Hrab, is naturally a very funny person! She knows how to handle humour! I always have a few things going on at the same time. Currently I’m working on a book about the night that has yet to be announced. I also recently found out I was accepted to grad school, where I’ll be pursuing a Masters degree in Computer Science. It’s something I’ve always been interested in and exploring on the side of my illustration practice. 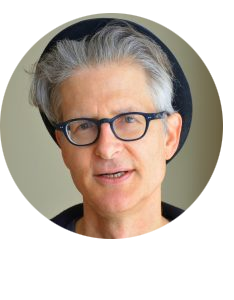 I’m definitely interested in the intersection of art and computer science and am excited to see how that experience will go. 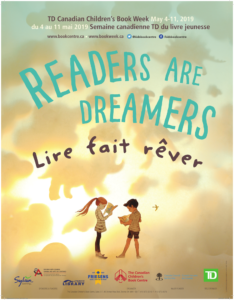 Look for our May newsletter early next month, which will be all about TD Canadian Children’s Book Week! Look forward to interviews with touring creators Naseem Hrab and Tony Cliff!